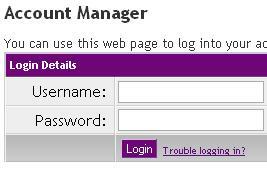 Below are the step-by-step instructions to use Account manager. If you click on Access, this will load up your usage page. 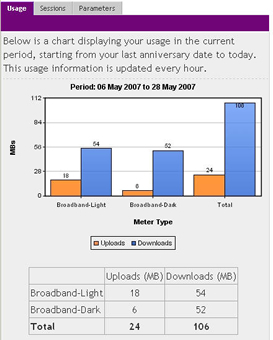 4) For a further breakdown on your usage information, click on the Sessions tab. 5) Click on the Billing tab. 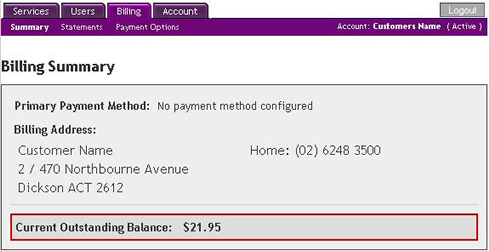 This is a summary of your billing details and any outstanding balances on your account. 6) Click on the Statements tab. 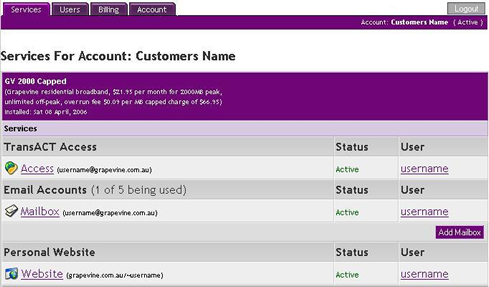 This page shows all your monthly statements since you have signed up. 7) Click on a statement. 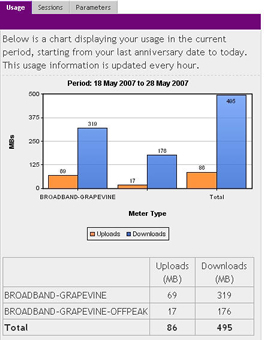 This page lists any plan changes and payments made/reversed during a specific month. 8) Click on the Users tab. This page lists all users attached to this account, including those for emails and helpdesk support. 9) Click on the Edit button for a particular user. This page lists all details for the user selected. 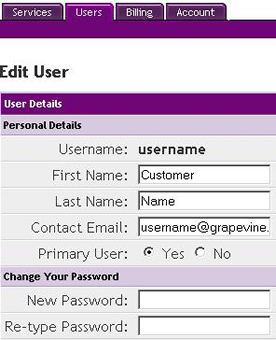 This page also allows you to change the password for the user's account. Password changes can affect email logins as well as connection logins. 10) Once any changes have been made, click on the OK button on the bottom.